Andermatt is largely the domain of off-piste specialists prepares to hike in order to reach untracked snow and challenging couloirs. Like most great resorts, Andermatt has a 'magic' mountain that has made it's skiing legendary - the Gemsstock - 2,963m (9,722ft). There is only one way up: the tow-stage cable car. from the top there are various ways down, none of them easy and some sufficiently difficult to require a guide. Although the overall vertical drop is just over 1,500m (4,921ft) and the runs are long as well as steep, the most interesting part of the mountain is formed by the two vast bowls which dominate the front face of Gemsstock: almost 750m of classic off-piste terrain. Boarders come into their own on the nearby Winterhorn, which rises to 2,660m. There are however more gentle slopes ar the Nätschen/Gűtsch area with further skiing nearby at Realp. Between them, these resorts have 34 lifts and more than 160km (100miles) of pistes. the Gothard Oberalp lift pass also includes the resorts of Sedrun and Dientis. Railway station in Gőschenen 6km (4 miles). Shuttle services from Zurich and Bern airports and Gőschenen railway station. 1,450 - 2,960m (4,760 - 9,710ft). 12 in Andermatt; 34 in area. 44% beginner, 28% intermediate, 28% advanced. Traditional village; friendly resort; north-facing slopes; abundant snowfall. 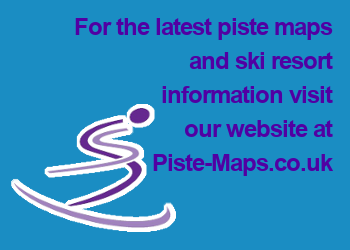 A little run down; two separate ski areas; ski lifts could be more efficient; Gemsstock not ideal for beginners.